GDPR principle was created to protect customer data. In a nutshell, GDPR establishes a clear set of rules about which regulations businesses can operate in relation to the process of executing customer data. With these new rules, boundaries are easier to understand for both businesses and consumers, which will facilitate earning money and retain customer loyalty. In order to capture the EU data protection standards, Mageplaza has released a new extension for this standard. That’s the GDPR module. 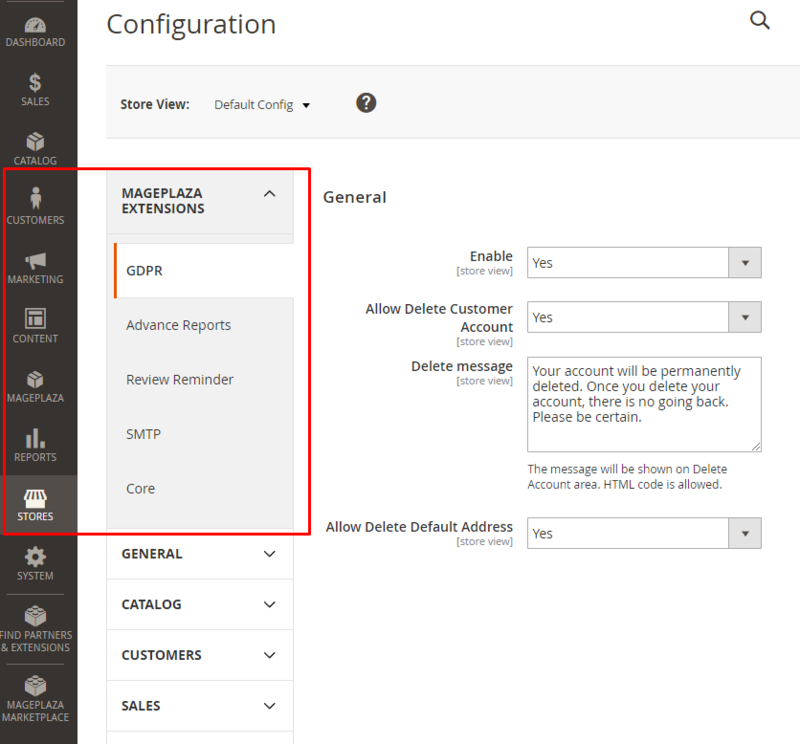 Magento 2 GDPR module will assist you deleting customer data permanently, to ensure your GDPR regulation compliance. In the Enable field: Choose “Yes” to turn the module on. 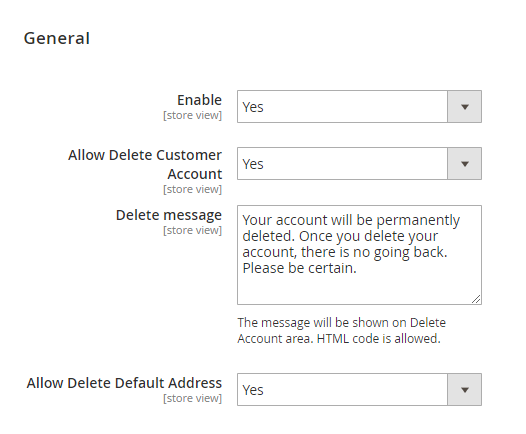 In the Allow Delete Customer Account: Choose “Yes” to allow customers can delete their account by themselves. 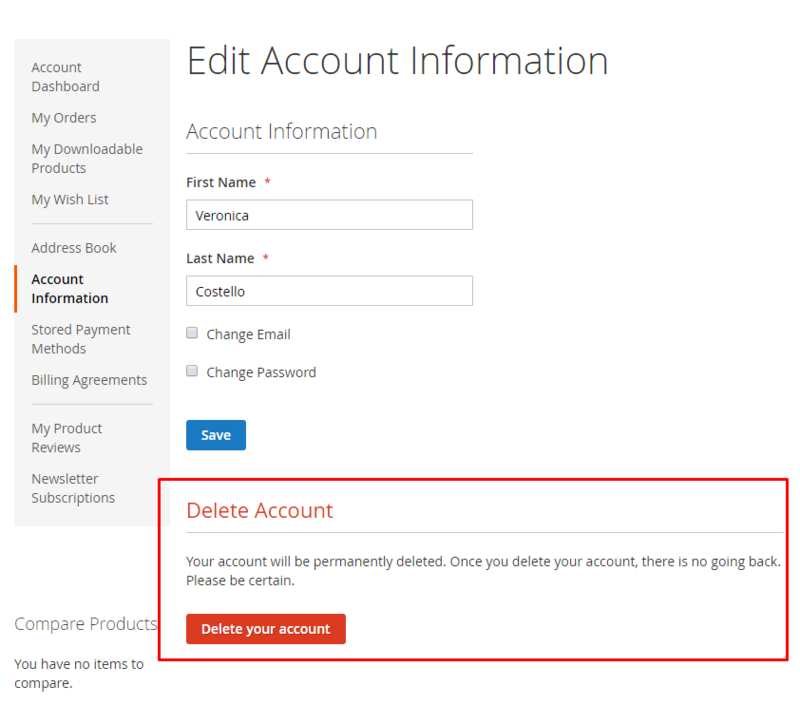 Enter the message displayed when customers are going to delete their account. Custom message is supported by HTML code. 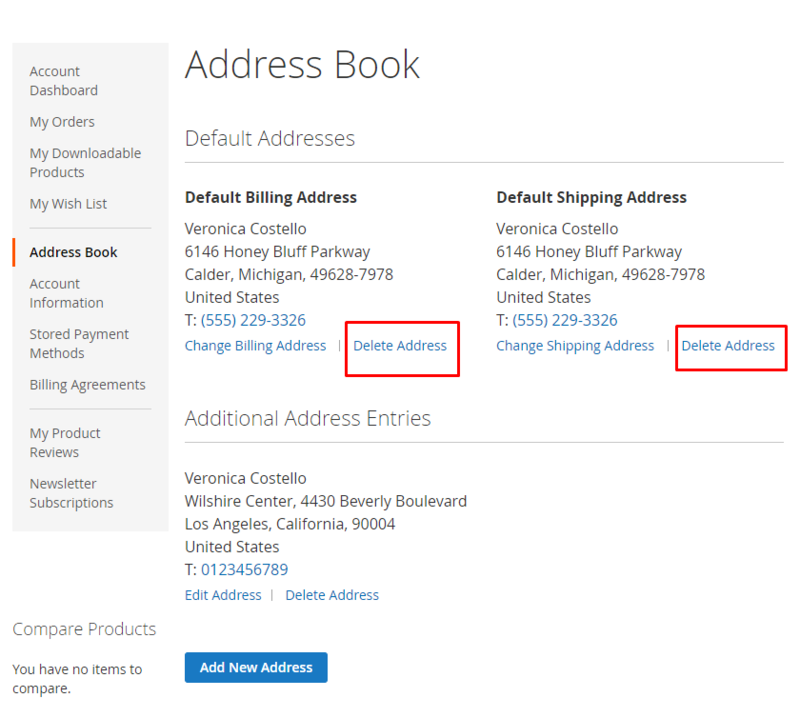 In the Allow Delete Default Address field: Choose “Yes” to allow customers can delete their default address.